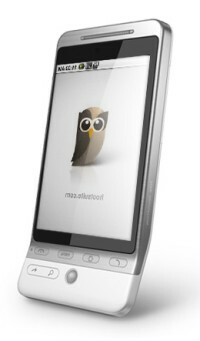 HootSuite are set to send Android smartphone owners hearts a flutter by releasing it’s mobile application onto the Android Market. The mobile client comes packaged as two separate offerings, HootSuite and HootSuite Lite, both delivering features not common to most other mobile Twitter applications. Android device owners will now be able to share the joy with their iPhone brethren with features including the ability to manage multiple identities and accounts, messaging scheduling and the ability to create custom views for tags and searches. The Lite client is ad-supported and allows upto three different accounts, neatly arranging different streams into different tabs so the user can simply swipe back and forth between them. If the Lite version is too limiting, the full-featured app offers unlimited accounts aswell as fully featured click-through statistics offering a real-time insight into your messages. The app also features an in-app browser, support for lists and the ability to track a conversation in those times when its difficult to understand what tweet someone is replying to. The HootSuite app brings with it Android enhancements, allowing users to take advantage of background notifications and open profiles within the application directly from Twitter emails. For those using HootSuite on the web there is now the ability to tightly integrate accounts between a mobile device and a users desktop with the help of a powerful wizard. iPhone users will also see some HootSuite love with two high-requested additions: Facebook integration and Landscape View. These come with the imminent release of version 1.2 on the Apple App Store. The full-featured HootSuite for Android will cost $1.99 from Android Market and the account limited Lite version are available for download now.